The life story of Supreme Court Justice and longtime civil rights lawyer Ruth Bader Ginsburg. 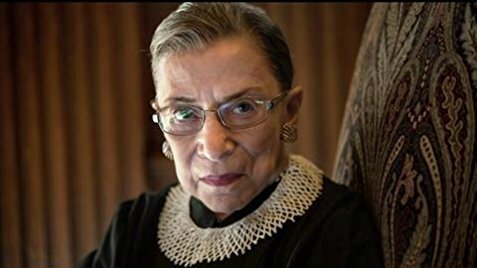 Before viewing this documentary, we only knew surface level facts about Ruth Bader Ginsburg. We have always admired her since she is one of the strongest voices on the highest court in the land. What we didn't know was her entire life story. We were not aware of the strifes she went through to accomplish all she has achieved. This film talks about the obstacles that were in her way as a woman trying to become a lawyer in a pre-civil rights movement era. It explains how she was one of only nine women in a class of 500 hundred at Harvard Law School, how she made the Harvard Law Review in her second year of school, and how she finished near the top of her class all while raising a young daughter and taking care of a sick husband. It tells of her endless post-graduate troubles and how she struggled to find work since law firms refused to hire women at during this time period. We had no idea she spent time as a law professor and was eventually a lawyer for the ACLU, one who argued numerous cases before the very same Supreme Court where she would sit decades later. Ruth Bader Ginsburg truly is a superhero, and yet people see fit to vilify her because of the fact that she speaks out for what she believes is right. To quote this film, "there is still this sense that nice girls don’t speak up. Nice girls don’t make demands. Well, too bad." We were tremendously moved by the well-made, comprehensive "RBG." 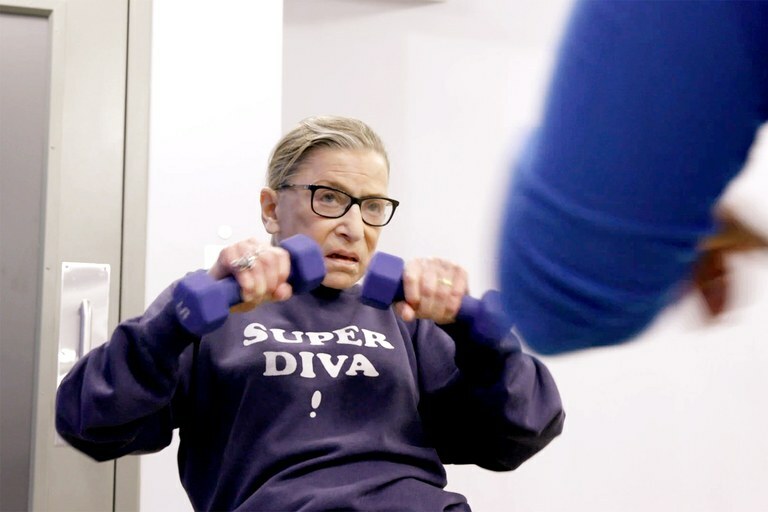 Ginsburg is a source of great inspiration for women and all people who know that just because life has always been one way doesn't mean it's the way things should be. In an era of extreme partisanship, she was able to get past the labels and the identity politics of "us vs. them" and find common ground with those whose viewpoints differed from her own. 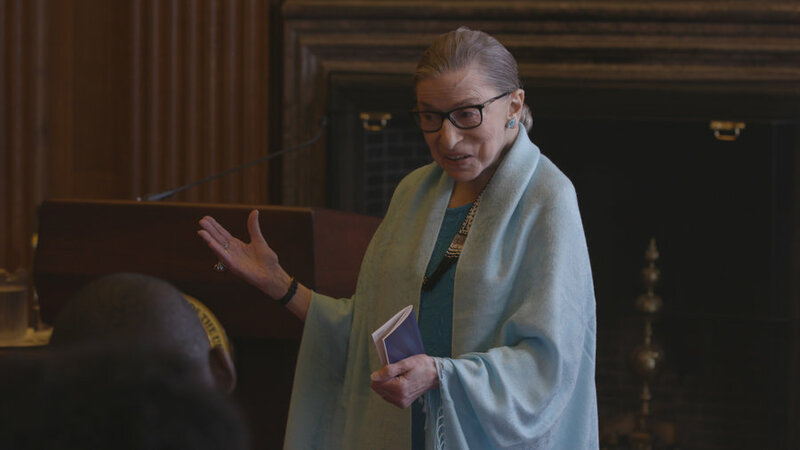 The film talks about her friendship with Antonin Scalia and there mutual love for opera. 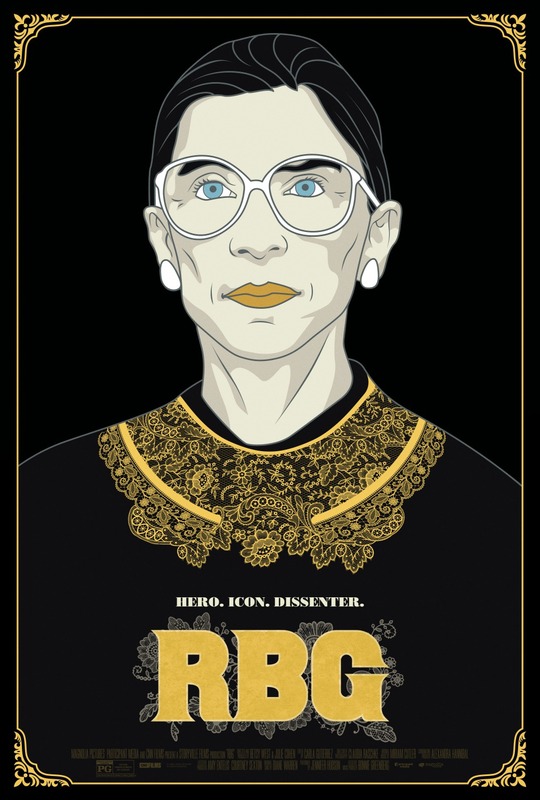 Regardless of politics, one should be able to watch this documentary with an open mind and, like Orrin Hatch or Antonin Scalia, come out admiring and respecting Ruth Bader Ginsburg even if you don't necessarily agree with her opinions. We were moved to tears on more than one occasion. This is a documentary that is meant to highlight her achievements and not one that is looking to criticize her failures.